Home > Food News > You’ve Heard of Goat’s Milk—But Camel’s Milk? 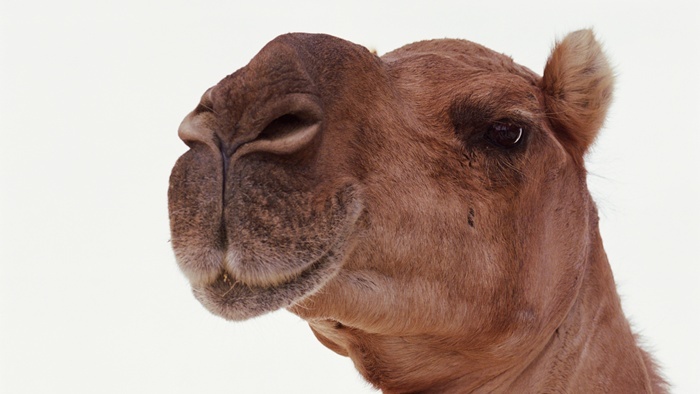 You’ve Heard of Goat’s Milk—But Camel’s Milk? The closest you will come to a camel in North America might be a trip to your local zoo. And there is a good chance you have never thought of milking one or drinking its milk. But as it turns out, in the same way that goat’s milk and the milk from a regular run-of-the mill dairy cow comes with its own set of vitamins, minerals, protein and health benefits, the pride of the Middle East has a few health boosts of its own. This specialty milk has started to take off in California, where over 40 local grocers stock camel’s milk as a staple in their dairy section. It’s still a niche product, and we’re beginning to see it in stores across North America. If you can find it, take a second glance, as it turns out the milk from this bristled, spitting, hump-backed animal is a real nutritional superstar! Camel’s milk has been touted as a close second to a mother’s breast milk in terms of nutritional quality. It also comes loaded with vitamins D and C, not to mention 10 times more iron than regular milk. According to a study in the European Journal of Clinical Nutrition, the milk from a camel has a positive impact on people who rely on insulin for type 1 diabetes. Researchers tested a small sample group of type 1 diabetics. In the long-term study, 25% of participants saw a steep reduction of insulin requirements. The individuals went from needing full insulin doses to needing none. A big checkmark in favor of the camel! Inquiring Minds Need to Know: What Does It Taste Like? Camel milk can come full of protein, vitamins and minerals, be low in fat and sugar, and great for diabetics, but it is sure to be a tough sell to the health-conscious consumer. That is, if it tastes like it sounds, which is awful. However the taste has been described as being close to cow’s milk, maybe a little bit saltier. People who wrote in to a popular brand of camel’s milk (Desert Farms) to review the product said that they gave the camel’s milk to their kids who couldn’t tell the difference. If that isn’t bound to be a prime selling feature, I don’t know what is. Kids are, after all, some of the most discriminating customers. Milk from a camel comes with lots of vitamins, is easily digested and tastes better than it sounds, but what about the financial end of the imported camel milk enterprise? Researchers at MarketWatch say the sales of camel’s milk in North America climbed by 30% since 2011, making it a $3.0-billion industry. But as with any health food that is popular, trendy and different, it comes at a relative blow to your wallet. The average pint of camel’s milk goes for a staggering $18—far more than even the most premium cow’s milk alternatives like soy, almond and coconut milk. So if you are someone who likes to take a chance on new food options, perhaps camel’s milk could replace the cow’s milk taking up residence in your fridge. While the oddity of the product might have you raising an eyebrow, the health benefits are extensive. So maybe you should try shelling out a little extra cash to have a little bit of camel in your life. Agrawal, R.P., et al., “Effect of camel milk on glycemic control and insulin requirement in patients with type 1 diabetes: 2-years randomized controlled trial,” European Journal of Clinical Nutrition 2011: 65; 1048–1052, doi:10.1038/ejcn.2011.98. — “Effect of raw camel milk in type 1 diabetic patients: 1 year randomized study,” Journal of Camel Practice and Research 12(1), p. 27–35. Bentley, J., “Trends in U.S. Per Capita Consumption of Dairy Products, 1970-2012,” United States Department of Agriculture, Economic Research Service web site, June 2, 2014; http://www.ers.usda.gov/amber-waves/2014-june/trends-in-us-per-capita-consumption-of-dairy-products,-1970-2012.aspx#.U7Qdtbue6IY.